Custom-designed chandelier by Elias Associates incorporating 12-Mid-Century Stilnovo brass plated canopies holding opaque glass shades. Hand fabricated for EA by Aurora Lampworks. 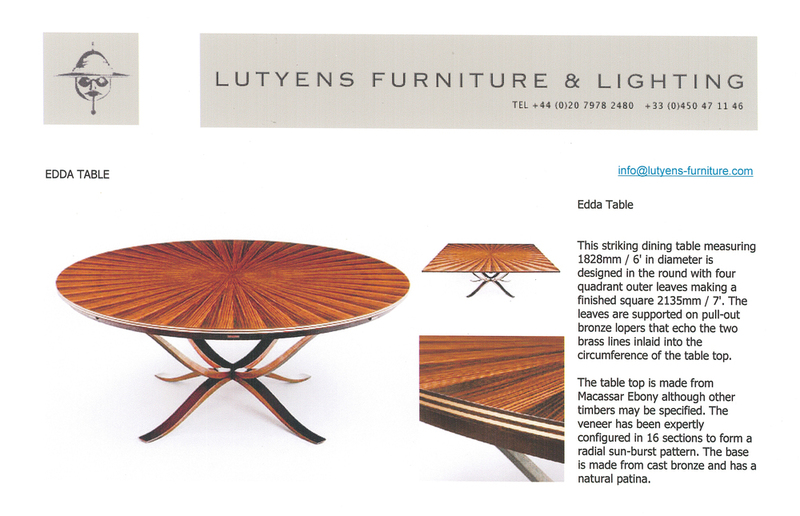 Designed by Elias Associates, fabricated by Lutyens Furniture & Lighting and placed into the Lutyens Collection. Designed by Elias Associates exclusively for Warp & Weft.